Dr. Carlotta Berry’s areas of expertise include educational mobile robotics and enhanced human-robot interfaces. 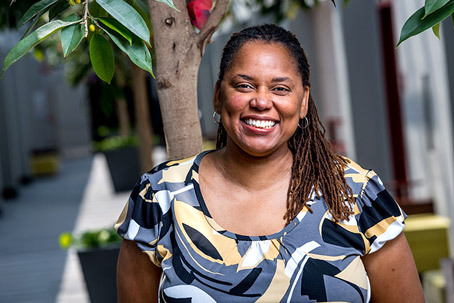 Also specializing in recruitment and retention activities for underrepresented populations in electrical and computer engineering, she helped found the Rose Building Undergraduate Diversity (ROSE-BUD) program, which she co-advises. Dr. Berry also helped start and currently co-directs the multidisciplinary robotics program, and is an organizer and judge for FIRST Robotics competitions. One of her recent projects with students involved using mobile robot platforms to remotely command robots to perform tasks. Check out her personal web page.